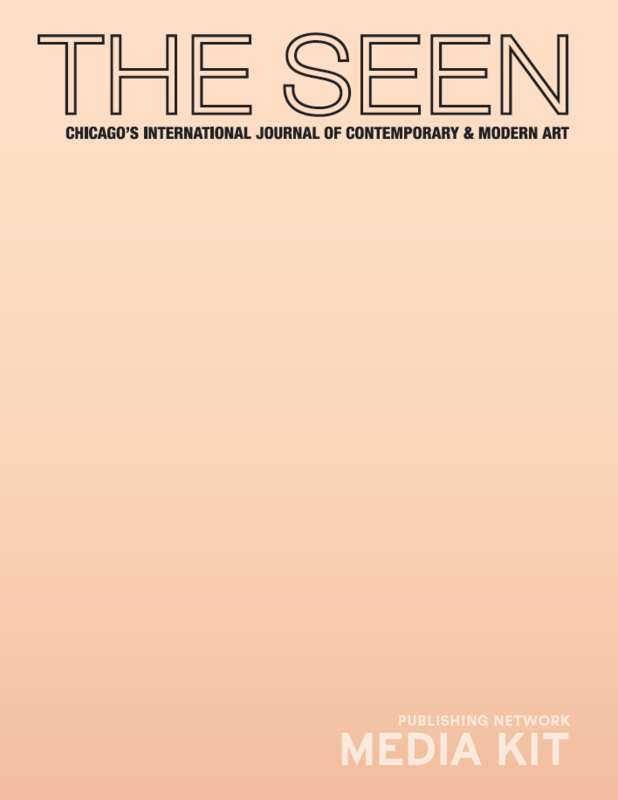 THE SEEN, Chicago’s International Journal of Contemporary & Modern Art, features in-depth writing on exhibitions, as well as highlight essays, artist profiles, and reviews. Born out of a need for international art criticism within the city and context of Chicago’s thriving art scene, THE SEEN was founded in 2013 by Editor-in-Chief Stephanie Cristello, and has continued to expand distribution and readership throughout the United States and Europe. With a network of Staff Writers reporting from around the world, THE SEEN features exclusive pieces and new commissions on the best in international contemporary art, which most recently has included special edition inserts that meld the art object and the printed page. Publishing twice a year in print, in addition to monthly online issues, the free, full-color, 175+ page journal is produced as a 12,000-count run and is available for distribution at multiple public locations throughout the city of Chicago, as well as select national and international distribution. THE SEEN is published by EXPO CHICAGO. For Advertising inquiries and specifications, please visit here.